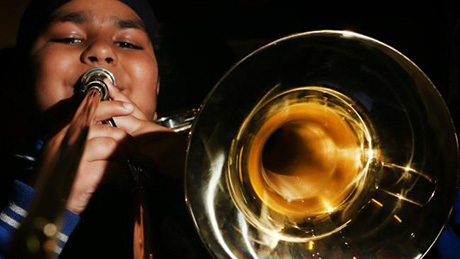 Just Brass, founded by brothers John and David Collinson of The Salvation Army, is a program which aims to transform young lives through music. Music classes are provided, generally in Grade three and four where students are taught to read music, lead sections and perform in public. The program is about giving kids a sense of belonging and teamwork and a place where they can feel valued. Part of the joy of working with the children is seeing their excitement when they are given an instrument to look after. The children also receive music and a Just Brass T-shirt. All activities are free including transportation and afternoon snacks before commencing lessons. 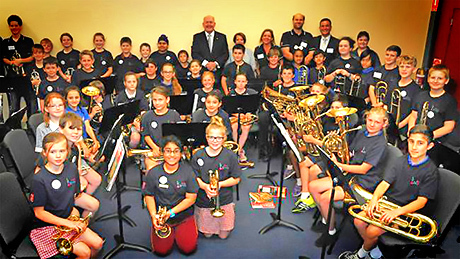 The Just Brass program was started in 2010 in Geelong Victoria when John and David reached out to the local community with the skills they had—playing brass instruments. “At the time, the corps' senior band had 15 members, and we had another 18 instruments in the cupboard,” John remembers. “My wife, a social worker, had started working at Whittington Public School and I was doing some voluntary music teaching there and realised there was a need. John Collinson is a talented musician, music teacher and trumpeter with a passion for serving and a desire to share the joy of music making with young people who would otherwise not have the opportunity. Trained at the Victorian College of the Arts John’s many subsequent music credentials are the Melbourne and Tasmanian symphony orchestras, Orchestra Victoria and six years with RAAF Central Band. David also had been a music teacher before becoming a Salvation Army officer, and he grew up playing brass, so the systems needed to set up a program were familiar. At the first Just Brass information evening, 35 kids and parents came along to find out what was on offer. The brothers knew then that they were on to something! Eight years on the program has spread to most states of Australia plus internationally. Schools are expressing interest in making Just Brass a part of their curriculum as they see the value added to other schools. John Collinson, Territorial Just Brass Consultant (2010-2018) and now Corps Officer at The Salvation Army Geelong, says he simply wants to see The Salvation Army (corps) reach out to disadvantaged young people with compassion and care—so they can reach their potential—and experience Jesus. 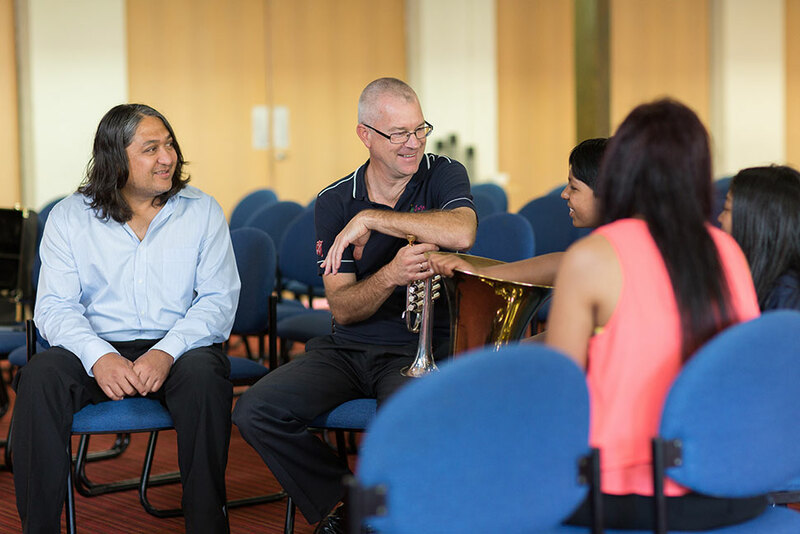 To offer free music lessons to disadvantaged children and to care and value them in ongoing group music lessons, helping them become young leaders, excelling in all areas of their lives. to transform Australia one life at a time with the love of Jesus. Over the last eight years, we have watched the children in Just Brass develop. So many exciting testimonies have come out of the program—from happy principals reporting on the change in students and whole class levels improving year after year—to parents elated their child is now doing better at school and more content with school life in general. We have had numerous stories from the children themselves, sharing their joy or photos of them performing to classmates, including special needs children.